ANAHEIM, CA--(Marketwired - June 06, 2016) - Ketchum Health, located in Anaheim, opened its doors Tuesday, May 31, 2016. Patients were welcomed into the new home of the University Eye Center, which moved from Marshall B. Ketchum University's main campus in Fullerton, as the first phase of the new health care center opened to the public. Ketchum Health will be MBKU's crown jewel interprofessional health care center. As Ketchum Health develops, it will include the addition of a general medical practice as well as a dispensing pharmacy, in which MBKU's PA and pharmacy students will participate in patient care. This expansion will allow Ketchum University to expand beyond traditional eye care. Once complete, the new off-campus health care center will offer an unparalleled collaborative practice experience for MBKU's optometry, PA and pharmacy students, and expanded health care offerings to the Southern California community. "Seeing the doors open at Ketchum Health evokes a wonderful feeling," stated Senior Vice President and Chief of Staff Julie Schornack, OD, MEd. "I am excited for the future of Ketchum Health and the services it will provide to the community as well as the educational opportunities it will afford all the students at MBKU." The new facility, located at 5460 E. La Palma Ave., Anaheim, California 92807, is nearly twice the size of the University Eye Center's previous space that will soon be renovated into additional academic classrooms and laboratories for collaborative learning by the university's three health professions programs, including its planned College of Pharmacy. "It is a proud moment for MBKU. Ketchum Health is helping us reimagine the future of health care education. I look forward to delivering world-class patient care in this state-of-the-art facility," said University President Kevin L. Alexander, OD, PhD. The University Eye Center at Ketchum Health will continue to offer services in primary care, cornea and contact lenses, ocular disease, pediatric eye care, vision therapy and low vision. A formal dedication event will take place on site at Ketchum Health August 6, 2016, introducing the community and potential charitable investors to this exciting new interprofessional health care center in Anaheim. For more information, please contact advancement@ketchum.edu. Located in Fullerton, CA, Marshall B. Ketchum University is an independent, private, non-profit, accredited educational institution. MBKU is now home to the Southern California College of Optometry, the School of Physician Assistant Studies and planned College of Pharmacy. 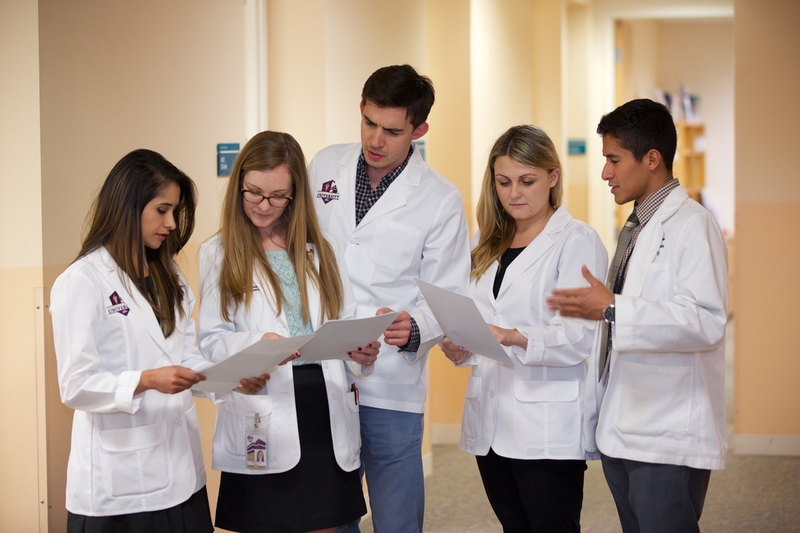 Named after the founder of the optometric institution in 1904, the change to the university structure addresses the growing demand for highly skilled health care professionals. The university confers a four-year, professional degree, Doctor of Optometry (OD) and a Master of Science in Vision Science (MS) degree. MBKU's School of Physician Assistant Studies under the College of Health Sciences awards a Master of Medical Sciences (MMS) degree. 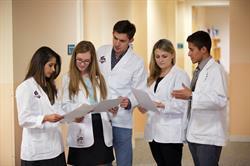 MBKU is establishing a College of Pharmacy and plans to welcome its first class in the fall of 2016. 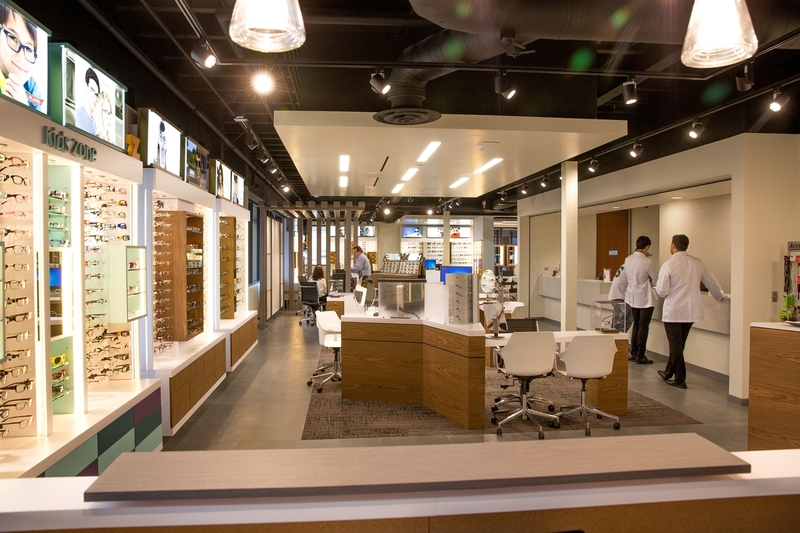 MBKU owns and operates two premier eye and vision care centers, the University Eye Center at Ketchum Health and the University Eye Center at Los Angeles. 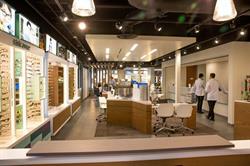 Ketchum Health is home to an expansive Optical Department with over 3,000 designer frames. Ketchum Health will be MBKU's crown jewel interprofessional health care center where all students will participate in patient care.